Yesterday, the US Dollar was the winner within the three major currencies. The Dollar appreciated against the Euro to drive the EURUSD rate down below 1.1920. Similarly, against the Pound, the Dollar threatened to break below 1.35; a move that was realised this morning. 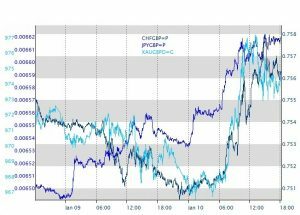 Despite a largely benign public reaction to Theresa May’s cabinet reshuffle, Sterling had a challenging start to yesterday morning, before regaining some of its losses in the afternoon trading session. This morning has been far more tumultuous for the Pound and the Dollar. Positive manufacturing data was published at 09:30 this morning, showing above consensus production largely across the board. However, current account (trade balance) data that was released simultaneously showed a larger than anticipated and exaggerated trade deficit for November. The data was mildly concerning, particularly given the boost to the UK’s export market from a consistently cheap Pound and concomitant increase in competitiveness. The confused economic data saw the Pound Sterling initially rise, before falling by approximately 0.3%. Sterling fell to below 1.13 against the Euro and briefly collapsed to below 1.35 against the Dollar. 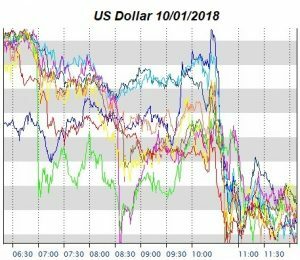 However, around 10:30 this morning, the Dollar experienced a sharp sell-off, eroding its value to 1.355 against the Dollar, and back through 1.20 against the Euro. Once the confusion surrounding the appointment of Chris Grayling as Conservative party chairman was cleared up, public reaction was largely ambivalent towards Theresa May’s cabinet reshuffle. The core members, including but not limited to, the Foreign Secretary and the Chancellor, were unmoved. There was the potential for the controversial foreign secretary to be relocated; a move that would likely destabilise the Pound due to infighting and uncertainty, but surround the prime minister with an atmosphere of strength and power. The Pound did not react violently to the reappointments. During the announcements on Monday afternoon, the Pound did continue to appreciate. However, the negligible trend was all but exhausted by Tuesday morning, with the Pound consistently shedding value throughout today’s trading. David Lidington replaces Damian Green as Theresa May’s second in line, following the resignation of the disgraced minister. His appointment to Minister for the Cabinet Office, a position that will see him stand in for Mrs. May at PMQs during her absence, is controversial. The minister, promoted from Secretary of State for Justice, had previously served Mr Cameron’s cabinet as the minister for Europe. Unsurprisingly given the bias of the incumbent Conservative government during the referendum, Mr Lidington is a passionate and unequivocal supporter of the European project. The minister’s new position will afford him considerable influence over the PM and the government’s actions. Given the result of the referendum and the strong influence of Vote Leave protagonists Boris Johnson and Michael Gove in the Commons, the appointment could generate considerable friction. Conflict is something that the Conservative Party and Prime Minister can scarcely afford, following the loss of a majority in the commons and a humiliating, if not unfortunate, Conference speech. Virtually all assets associated with the United States have come under immense pressure today. Not only the Dollar, but also US equities and government bonds came under strong selling pressure. An announcement from Bloomberg today suggested that Chinese authorities were considering reducing their accumulation and purchases of US government bonds. China is the largest single nation, non-domestic, holder of US government debt. The foreign exchange reserves of the Republic are also magnificent, presenting acute challenges to the value of the Dollar. The as-yet unverified announcement caused the dollar’s value to fall by around 0.6%, with only moderate value being recovered in the afternoon’s trading session. The yield on US government bonds increased sharply, hitting highs of around 2.59% on the 10-year note; a level unparalleled since March last year. The move has caused investors to declare the end of decades of a bullish international bond market, with prices now beginning to fall. The adjustment in US bond yields cannot be attributed to the rumour-mill alone. The rise in yields is likely to be assisted by a revaluation of inflation expectations, as the global macroeconomy could be turning a corner. The market for US bonds and currencies alike is now dominated by bearish investors; those predicting a decline in the value of both the Dollar and US government debt. However, rising inflation could prompt the Federal Reserve to raise interest rates to the benefit of the greenback. With a change of leadership in the Fed and the replacement of former Chair Janet Yellen, there could be a more positive medium run outlook for the Dollar. Coinciding with the losses made so far within US equities, there has been a mild risk-off move in markets today. 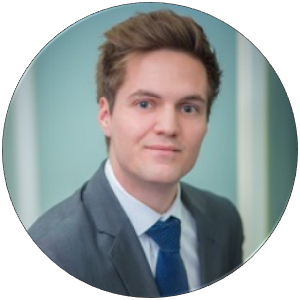 Measured by three stereotypical safe haven assets below, the Japanese Yen, the Swiss Franc and Gold against the Pound Sterling, market investors can be seen to move out of riskier assets and into security. The only piece of the picture missing from the risk-off move is a rise in bond prices, explained above. In addition to the appreciation in the value of safe haven assets, the Yen has appreciated unilaterally and violently. The Bank of Japan, the Japanese central bank and monetary policy authority, announced a reduction in its long-term government bonds. This has been reported as a shift towards policy normalisation; an evolution of ‘crisis’ global monetary policy and under-stimulated global macroeconomies that is not isolated to Japan. The two-days following the announcement have seen the Yen gain 1.5% against the US Dollar.